Federal employees aren’t being paid during the course of the impasse, but members of Congress and the president will continue being paid because the law requires it said the Washington Post. Congressional lawmakers jobs are authorized by the U.S. Constitution and are paid with mandatory funds, not discretionary spending dependent on annual appropriations. Members of the House and Senate have earned $174,000 annually since 2009. Among congressional leaders, House Speaker John A. Boehner (R-Ohio) earns $223,500 annually, while the Senate leaders Harry Reid (D-Nev.) and Mitch McConnell (R-Ky.) get $193,400. Some lawmakers have said they plan to donate, refuse or hold in escrow compensation earned over the course of the impasse. There are a few members who already donate their salary to charity. Rep. Jared Polis (D-Colo.): A spokesman says he has begun returning compensation earned during the shutdown to the U.S. Treasury. A wealthy entrepreneur, he donated his entire salary to charity until this year, when he began returning his pay to the Treasury to pay down the debt. Rep. Lynn Jenkins (R-Kan.): She posted a picture on her Facebook page of the letter she sent to House officials requesting that her pay be withheld. Rep. Markwayne Mullin (R-Okla.): He is donating his pay over the course of the shutdown, according to his office. Rep. Pete Gallego (D-Tex. ): The freshman lawmaker said Monday, "I will be donating my salary to an organization that helps military men and women who are injured while serving their country. They have sacrificed — Congress should heed their example." On Saturday he also introduced the "Shutdown Member of Congress Pay Act," which would — you guessed it — withhold lawmaker pay in the event of a shutdown. Rep. Michael McCaul (R-Tex. ): One of the wealthiest members of Congress, he plans to donate his shutdown-era earnings to the March of Dimes, a spokesman said Wednesday. Rep. Randy Neugebauer (R-Tex. ): He also posted a photo on his Facebook page of his request to have his pay withheld. Sen. John Cornyn (R-Tex. 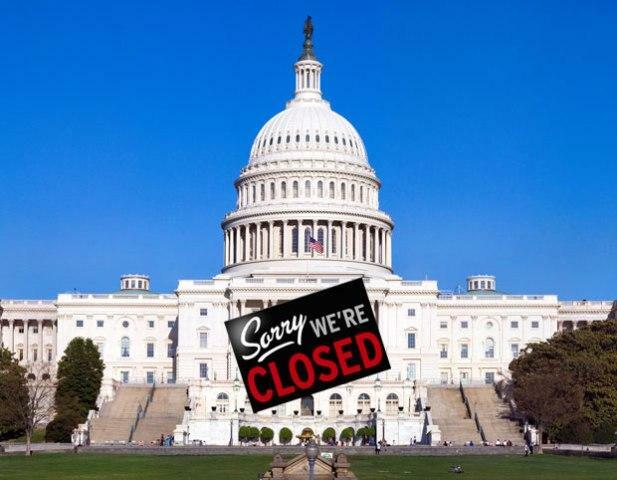 ): A spokeswoman says the senator "will not be paid during the federal shutdown. He donates to charity and does not believe a government shutdown should necessitate charitable contributions, compassion for fellow man should." Sen. Tom Coburn (R-Okla.): The senator said Tuesday evening on CNN that he will continue accepting his salary and plans to "spend it and tithe it" as he always has. A couple of these lawmakers are among the 30 wealthiest members of Congress according to the Washington Post. Rep. Michael McCaul (R-Texas) was number two with a worth of $101.9 million. McCaul was listed as The Hill’s wealthiest lawmaker for 2010 and 2011, but he dropped to No. 2 after he chose to report his wife’s and family’s holdings differently, The Hill says. His wife, Linda, is the daughter of Lowry Mays, the founder of radio behemoth Clear Channel Communications. Rep. Jared Polis (D-Colo.) ranked seventh with a worth of $60.2 million. Polis helped move his family’s greeting-card business, Blue Mountain, online and launched ProFlowers.com. He lists a blind trust worth at least $25 million and investments in software and Internet companies, The Hill reports.